Young actor Varun Sandesh made a stupendous debut with Happy Days and his performance has been widely lauded all over.The actor fell in love with Vithika Sheru, his co-star in Paddanandi Premalo Mari. The duo remained tight-lipped though there have been lot of rumours.Keeping an end to rumours the duo got engaged on December 7th 2015 and announced that the marriage will take place in 2016. Now Varun and Vithika got married in a grand event on August 18th midnight in Aalankrita Resort in the outskirts of Hyderabad at 7:30 PM. 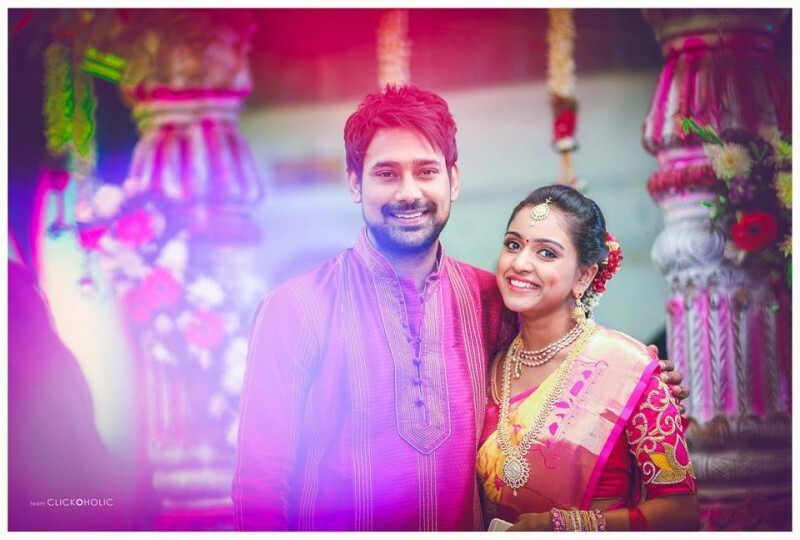 The wedding has been graced by many film celebrities, friends and family members of Varun Sandesh and Vithika.